This story is an object lesson in the art of compression. In only 128 pages it touches on natural history, sibling relationships, living with mental disability, split families, fear of outsiders, dealing with bullies and coping with guilt. There is also an exciting adventure quest which stays credible by eschewing any silly improbabilities. The pair of brothers in the thick of all this describe themselves so well in their dialogue there is no need to add anything else. Best of all, the ‘dyslexia friendly’ vocabulary employed, as always in Barrington Stoke books, is embodied in good, clear prose which is a model for any sort of writing for young readers. One or two descriptions of imaginary violence feel out of place in such an otherwise warm and affectionate story. It also seems a bit hard on pikes for Nicky, who tells this story, to describe them as ‘evil’ when all they are doing is angling for their next meal. 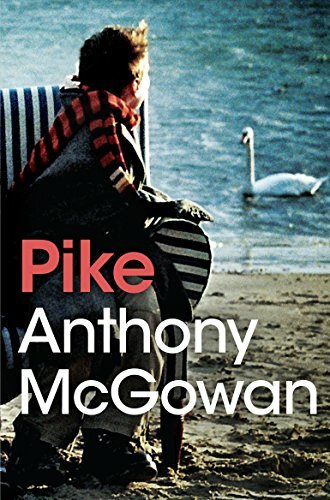 Anthony McGowan’s Brock, his last story about these two brothers, was long-listed for the Carnegie Medal. This one deserves to be too. I’ve been told by quite a few people that, of all my books, the one they like the best is Brock – my tale about two brothers, Nicky and Kenny, and their attempt to save an orphaned badger, while coping with the difficulties of poverty and family break-up. Although at times a touch harrowing, its trajectory is upwards, and it leaves most readers drained, but happy, I think. I rather fell in love with Nicky and Kenny, and I leapt at the chance to bring them back for a sequel. As with Brock, I tried to make Pike quite simple, at the surface level. The language is pared-down and direct – not always the case with my books! What counts are the characters, the relationships, the things that people do. As with Brock there are scenes of startling brutality. But also, I hope, those moments of transcendence, when the quiet beauty of the universe sends a bright beam to illuminate the lives of Nicky and Kenny, touching it with a golden light.